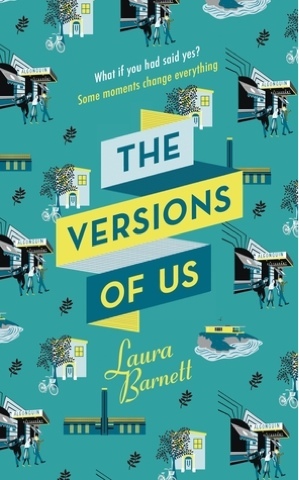 Review: I love the premise behind this book, I think it's a great idea to write about what if, about what could happen if you'd said he's instead of no or stayed instead of leaving. I really wanted to love this book but I just really didn't connect with it. I couldn't keep all of the characters starlight in my head and who was doing what in which version. This might be because I'm just really tired by now and I would definitely consider giving this book another chance at a later date but it just didn't thrill me on first reading. I like the characters of Eva and Jim, I thought they were really strong leads in this book. I definitely found myself liking one version of them more than others but overall I was really interested to see how they turned out. I also listened to this on audiobook and it was quite good to do that because the part of Jim was voiced by a male narrator and the part of Eva was voiced by a female narrator. I thought that this might help me to understand the versions a little better, but alas it did not. I really liked the ending of this book and I'm definitely glad that I persevered all the way to the final page. Each version has it's own ending and in a way they seem to come together. I think the way each of the endings comes together depends on your interpretation of each of those versions and I really liked this about the book. The book takes place over a long time period and whilst I admire the author in being able to do that I think this didn't help in my confusion of the plots and the characters. I think if you've got the time to devote to this book, it could be a really good read. It's definitely something that makes you think and evaluate your own 'what if' situations but it just didn't engage me enough on this occasion.